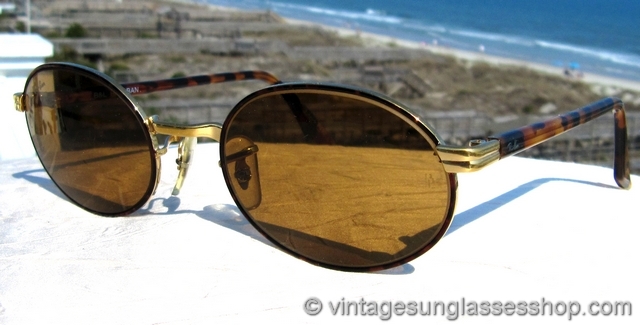 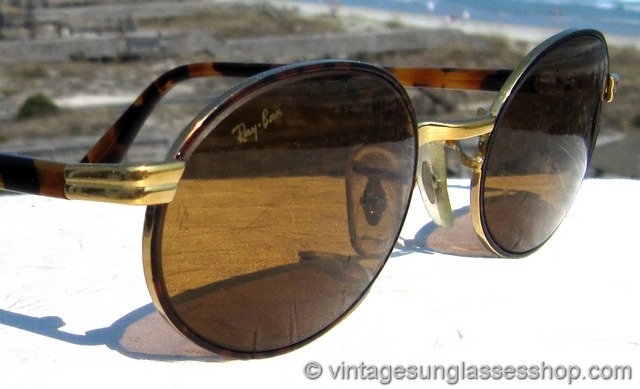 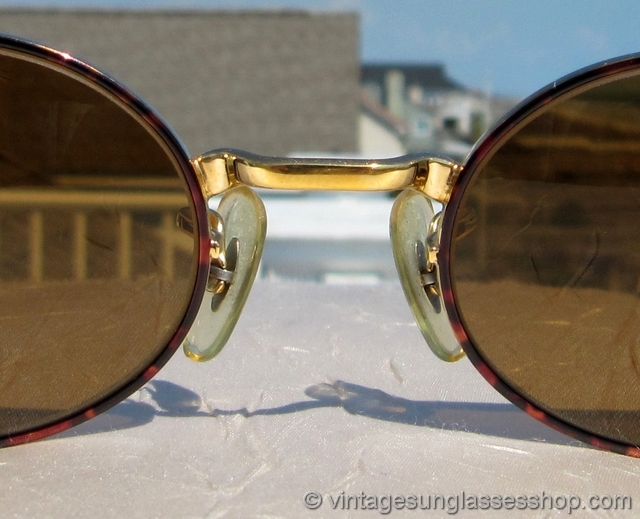 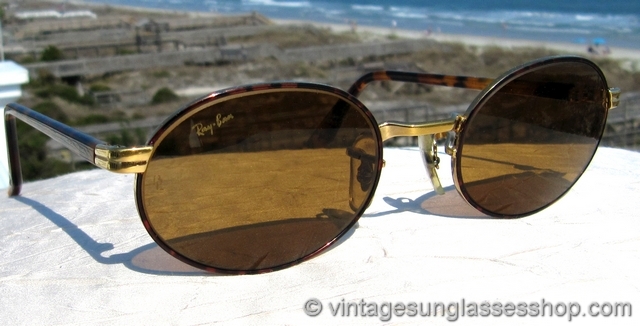 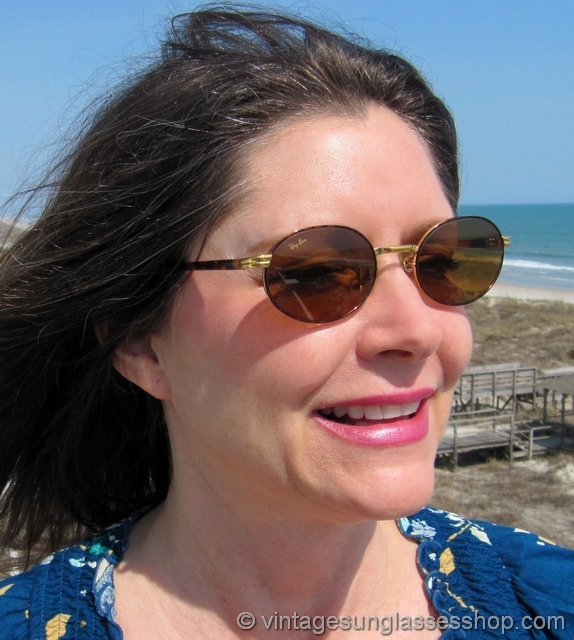 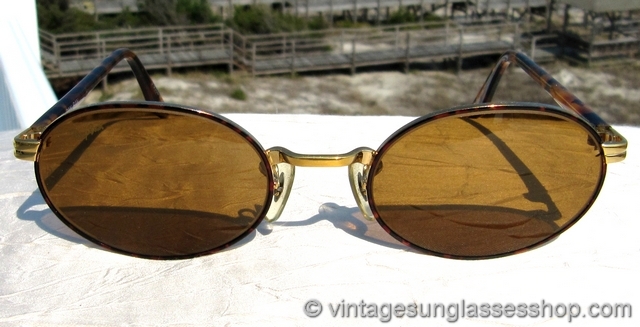 Vintage Ray-Ban W3084 Diner Oval Duty Free Elite sunglasses are a beautiful and elegant style, with tortoise shell ear stems with plenty of black highlights and etched gold hinges and nose bridge. 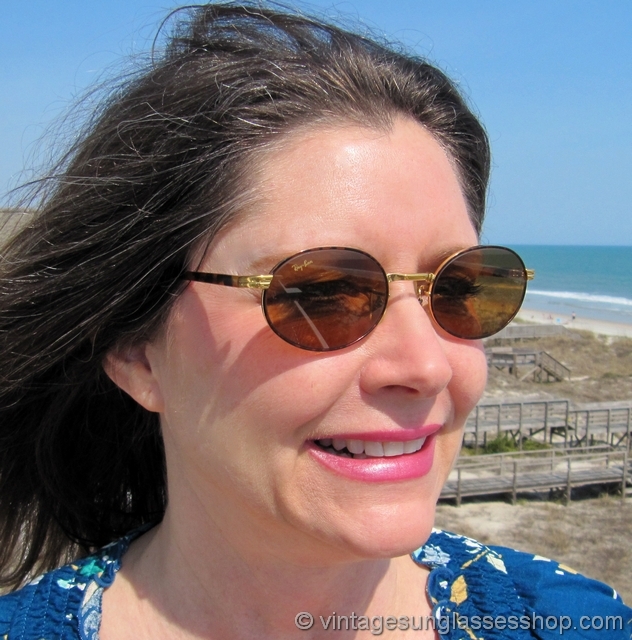 The oval Bausch & Lomb B-15 lenses are the perfect color complement for the Ray-Ban W3084 Duty Free Elite frame, designed to enhance and sharpen color contrast in all light conditions while providing 100% UVA and UVB protection. 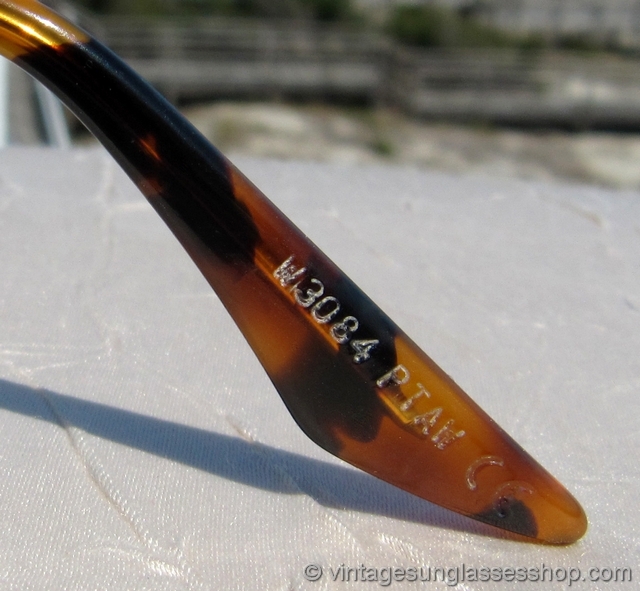 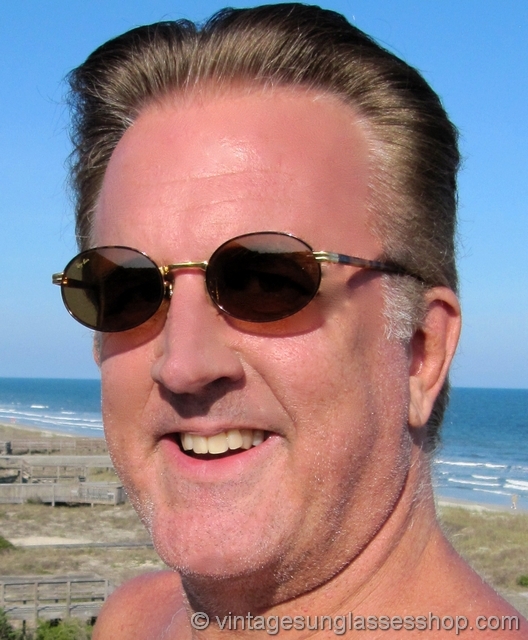 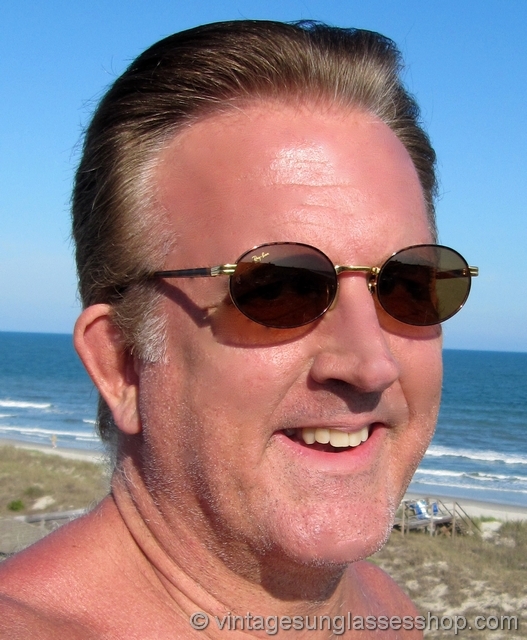 In addition to the tortoise shell stems, a thin band of tortoise also surrounds the perimeter of the front lenses and ties the look and color combination together. 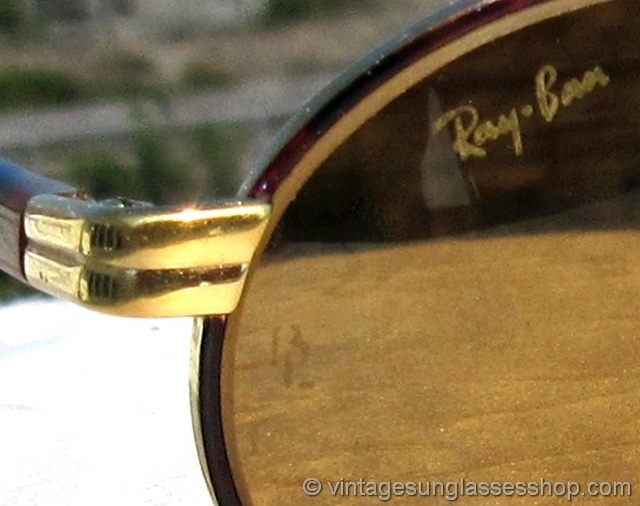 The unisex Ray-Ban W3084 Diner Oval frame measures approximately 5.125" temple to temple, and the lenses measure approximately 1.875" x 1.375" at the widest points with right lens laser etched Ray-Ban and both lenses laser etched BL near the hinges. 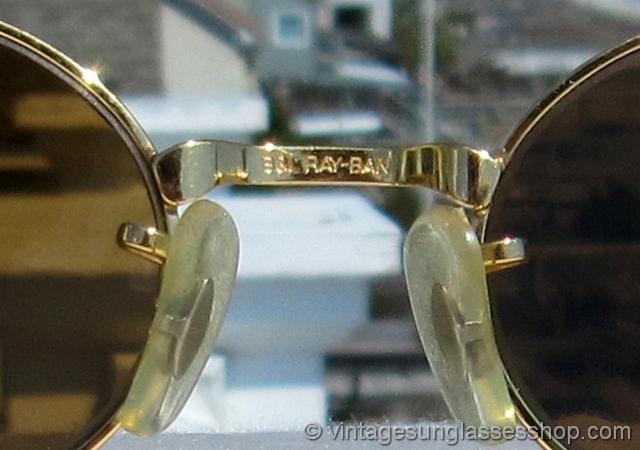 You'll find the Ray-Ban logo embossed on the exterior of one ear stem, and the inside of one stem is marked B&L Ray-Ban while the rear of the gold plated nose bridge is impressed B&L Ray-Ban and one ear pad is impressed W3084 PTAW CE.